Eduardo Natan Bitencourt and Willian Pereira dos Anjos are Brazilian Computer Science students from Federal Institute of Santa Catarina. They ended up doing their internship at HAMK Research Unit for Smart Services. They worked on an IoT platform with amazing results. Their work will not only be implemented at HAMK, but in their own school as well. Eduardo and Will had three options to choose from for their exchange destination – Portugal, Germany and Finland. They ended up choosing HAMK, mainly because the project available was focused on their favorite subject in IT – the Internet of Things. In addition, they had a great interest in Finnish culture. Since Finland can be considered the opposite of Brazil in many aspects, from the climate to safety for example, they saw an opportunity to challenge themselves and get out of their comfort zone. The IoT project they worked on was based on the study and development of an IoT platform for research and education purposes. It aims at making the process of data visualization, management and storage in IoT environments easier and more efficient. Even for teachers and students that might not have an IT background or IoT knowledge, the projects focus is how to make IoT easy for everyone. A survey by Gartner Inc., a market research agency, predicts that by 2020 there would be about 20.4 billion devices connected by the Internet of Things technologies. The increase was driven mainly by lower manufacturing costs of sensors, actuators, and microcontrollers, as well as the availability of COTS (Commercial Off-the-Shelf). There is still no global standardization and therefore developers have difficulties in defining an efficient way to transmit, store, manage and provide the data. These difficulties increase when one wants to manage the data of several applications and devices in an IoT environment or context. For this reason, an IoT platform would be an efficient solution – especially one that supports an efficient and proper devices management and is implemented with multiple technologies, protocols, microcontrollers, sensors, and actuators and belonging to different entities. In this way, the use of a tool capable of centralizing the management of IoT environments, projects and software applications and the ability to provide a good variety of visualization widgets is an attractive solution. Throughout IoT platforms, we can make all these processes easier as well as more efficiently. For instance, in a classroom where the students are learning some IoT basic projects, such as getting the temperature from a sensor, the students will be able to see their results in real time inside a dashboard chart. This is a significantly more user-friendly approach than a console line output. Also, the teacher will be able to manage the student’s projects a lot easier with the platform, checking if the student A is getting the right measures as the student B is. All this is possible inside one platform, providing a user-friendly and a visual approach in one tool. The advices Will and Eduardo wanted to give for the future international trainees was to enjoy the whole experience, not only in the office but also the Finnish way of living. The only cultural collision was the lack of feedback during the project – in Finnish culture it is hard to know if you are doing well or not, when in Brazil positive and negative feedback and pressure is given in every turn. In Finnish work culture the managers trust their employees per se. They give them creative liberties and time to get results. In addition, in Finnish work culture the emphasis is on teamwork. In Finland there is a saying “if nobody says anything, there’s nothing to worry about”. 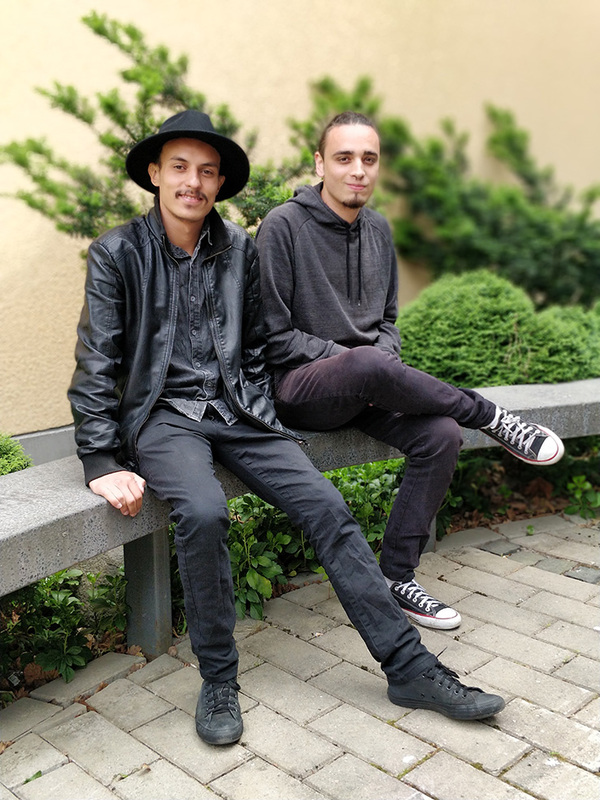 Willian (on the left) and Eduardo felt that studies abroad made them see the world differently. They traveled in nine different countries in Europe during their stay. They were taken by the finnish helpfulness and the respectfulness towards each other. Despite of two very different cultures they fitted in the team perfectly with their social and professional skills.